Les Brown was a popular swing bandleader in the 40s. But when swing died out in the late 40s, he was able to keep his band going for many years. Many bands just closed up shop. Brown's band was never a jazz band. It was a dance band. What made him popular in the 40s was Doris Day and touring with Bob Hope. When Doris went on to film stardom and swing ended, Brown continued to tour with Hope and appear on Hope's TV specials. Later on he was house band for Steve Allen and Dean Martin's TV shows. In the 50s Brown recorded for Decca's Coral label and then he moved to Capitol. This elaborate arrangement of The Nutcracker Suite was on the 1956 album That Sound Of Renown which was one of his final albums on Coral. Then he recorded it on the 1958 live recording Concert Modern on Capitol. Neither album is available on CD. But Capitol has put Brown's recording of The Nutcracker Suite on its Ultra Lounge CD series. 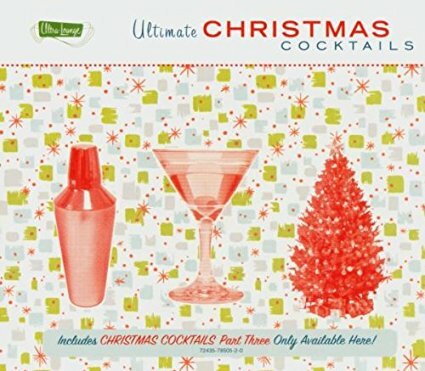 It appears on the CD Christmas Cocktails but it's an edited version and the CD is out of print anyway. But this 3CD Ultra Lounge comp is available. So if you are into the Ultra Lounge sound, this is the Christmas CD for you. The Nutcracker Suite was recorded by Freddy Martin and Fred Waring in the 40s. The most notable jazz version was by Duke Ellington in 1960. Brian Setzer's cover of Brown's version of The Nutcracker Suite appeared in the film Elf. Though Brown died in 2001, his son Les Brown Jr. continues to lead the band today. Here's a video for The Nutcracker Suite by Les Brown & His Band of Renown.